This week, we’re jumping into tons of events, benefits, anniversary celebrations, and more, plus tons of releases to get your juices flowing. It’s finally here! 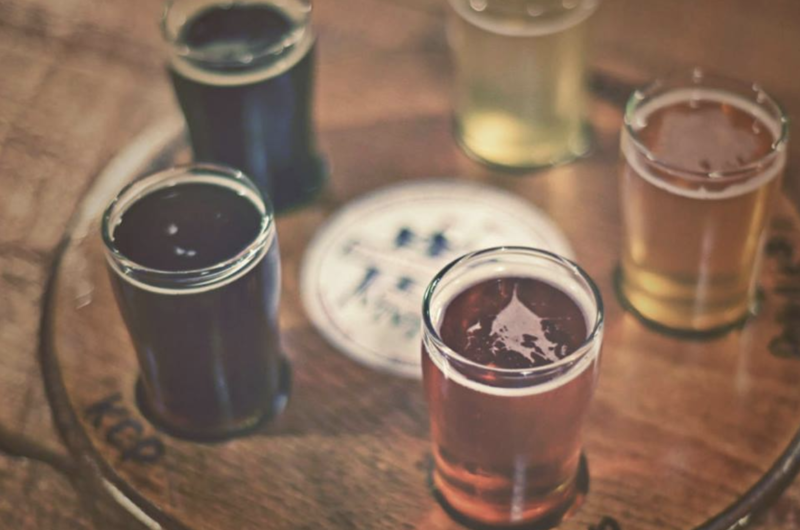 We’ve been waiting for the Imbibe Craft Beer & Arts Festival to come back for months now, and it’s hitting Fredericksburg this weekend. With tons of our favorite breweries from around the state, the festival packs in more than 100 craft libations, and say they’ve got some special love for the local spots. They’ll have an Artisan Market with handmade wares from regional makers in the area, and awesome bands like the North Mississippi Allstars and the People’s Blues of Richmond. For a full list of the attendees, hit up their website, but you can expect most of these guys from the Richmond area: Ardent, Blue Bee Cider, Hardywood Park Craft Brewery, Intermission Beer Company, Legend Brewing Co., Strangeways Brewing, and Väsen Brewing Company. Starr Hill, our Charlottesville sisters who have set a spot in Richmond to open this year, will also be in attendance — along with some of my personal favorites from the rest of the state like Devil’s Backbone. Happy birthday, Strangeways! Our friends over at the brewery have a huge weekend planned, and this is one you aren’t gonna want to miss. They’re re-releasing not one, but seven old favorites from the vault to celebrate their time with us. Look forward to the nostalgia, and grab a taste of That’s My Jam!, a Berry Sour, Wake Me Up Before You Gose, Apple Sour A Bomb, Wake Me up Before You Gose Hibiscus, and Cloak of Feathers — a Baltic Porter — all on Saturday. Also starting Saturday, The Atkinsons will be playing live all day with food trucks and Truckle Cheeemonger full of picnic-esque treats. Continuing on into Sunday (for National Drink Beer Day! ), LowCo Eatery Brunch is coming out to serve up the goods with the releases of Only Brewed 4 Cuban Linx Wild Ale, Wake Me Up Before You Gose Ghost Pepper, and Oscillate Wildly Blueberry-Wild Sour. Bring out the fashion, Richmond, because Stone Brewing ain’t just wearing pink on Wednesdays. Tomorrow night, bust out your favorite pink clothes and come celebrate International Women’s Day all over again with Pithy In Pink, a Pink Boots Society White IPA, perfectly-flavored with grapefruit and coriander. On the real IWD, Stone brought out some of Virginia’s best with amazing women from across the state to brew the beer together, and it’s finally here to drink. The Pink Boots Society is a badass organization (with a local chapter here in town) of women in the brewing industry, and it’s got its own brew now to accompany it. Head out tomorrow night and grab a bite from Curry in a Hurry over in the garden, too, and celebrate the ladies in your life. Isley Brewing Company’s Kiwi Infused Pilsner is fresh to the taps this Friday. If you’re looking for a brew to bring out the best of summertime and forget about how *absolutely freezing* the weather has been this week — after such a long week of warm, too — this might bring your taste buds to a happier place. Full of one of the best summertime fruits of all, this Pilsner ought to bring your brain back to warmer days and out of this long winter. Fine Creek Brewing is hosting their Make-A-Wish Benefit tomorrow night, so grab a beer and help grant some wishes to local kids. Come out and support their Walk-For-Wishes, the largest community event for the organization in Greater Virginia. While we all know how awesome the Make-A-Wish foundation is, here’s something you might not have known: The excitement of these Wishes have actually proven to possess some physical and emotional benefits — which actually can give these kids a higher chance of survival. The impact of real Wishes on the families, and communities, of the sweet kids who pick them is far-reaching and positive across their loved ones. So all around, if you’re in the mood for a drink tomorrow, please keep Fine Creek high up on your list. With a beautiful farm to host it on, you’ll be very glad you did! Does it make sense? I mean, when does anything? Hardywood’s in the spirit of confusion this week and I’d be lying if I said the artwork doesn’t appropriately suit the cause. Who is she? She’s beautiful, is who she is. This New England-Style IPA is heading to the cans this week, But Does It Make Sense?, and it’s citrus-forward with Mosaic, Galaxy, and Hallertau Blanc hops. Swing by Hardywood and grab a bite from Hog Haven too, which looks just as mouthwatering as it sounds. Intermission Beer Company is dropping a new brew this Friday. Tight Pantaloons is another New England IPA, and it’s also one whose name I can’t seem to read without a British accent in my head. I think it’s unfair not to, honestly. It just sounds so good. Anywho, ol’ pantalones hits in at 7.5% ABV and it’s a hazy, non-bitter tasting IPA that was dry-hopped with Galaxy, Mosaic, and Citra hops. So I’m glad we’re all on the same page with how we’re feeling this week. Me too, guys, me too. But either way, they’ve done a really solid job on this one! Lust for Glory: Even the name sounds romantic. This Guava Sour is making its way over to Castleburg Brewery and Taproom this Friday, and Castleburg says they were having a strong desire to “feed your sensual appetite.” Nice. With the pink, juicy flesh and strong, sweet aromas of guava in this one, the sour is just the thing to make you pucker up, according to the brewers. Lickinghole Creek is throwing their Despot Day this Saturday, with live music and tons of variants from their favorite recipes coming out every hour during the day. Look forward to a nice big list of brews, plus live music from Mighty Joshua, Calvin Presents, and more and a ton of awesome food trucks — like Papa V’s Backyard Grill, Silence of the Hamms BBQ (nice), SandTopia and more. 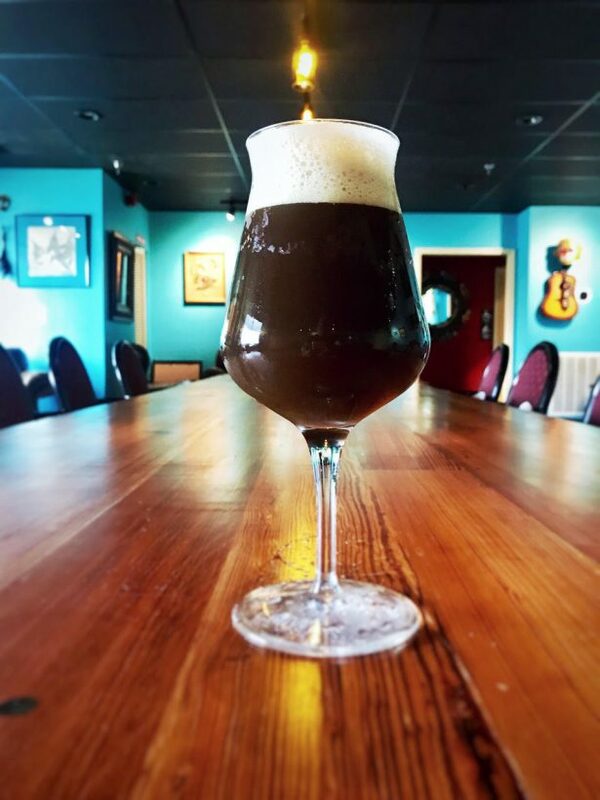 For beers, you’ll get to try ENLIGHTENED Despot (14yr), HIDE the Despot (23yr), HUG the Despot (Vanilla), AWAKEN the Despot (Coffee), and VIBE the Despot (a new variant, Coconut)! This week, we’ve got plenty of new releases, and more notably, events! Spring is on its way, and the fun times of warm weather are coming with it soon, so get out there and drink, y’all. On Saturday, Väsen Brewing Company sent their Savvon into the wild for its first bottle release. This 9.2% ABV farmhouse ale is packed with cherry pie and ripe pineapple from its dry-hopped Brettanomyces. The “funky flavors” come together with some more subtle flavors of passion fruit, raspberry, and white wine from its Galaxy and enigma hops from Australia, and it was aged over a year and a half in American white oak foeder with four additional months of bottle conditioning. Savvon came out alongside The Herbaceous Otter, a tart Otter Gose spiced with fresh lemongrass, ginger, and dried hibiscus calyces. Two of our favorite Scott’s Addition brewers are coming together this Saturday for a collab release. Isley Brewing Company and Blue Bee Cider are dropping their Apple Brandy Barrel Betty, an apple-brandy, barrel-aged Spiced Brown Ale. Isley brewed the first batch in their original spiced brown, then dumped it into the freshly-emptied Apple Brandy Barrels from their neighbors over at Blue Bee. According to Isley, what emerged is an “audaciously strong beer,” and full of awesome flavors like oak and vanilla blending in with the sweetness of their fresh-pressed juice. I’m extra excited for this one, since all these flavors of fall are long-gone after the holiday beers and long-to-come with the summer ahead. If you’re a fall fanatic like me, go grab some while you can, and hold on to the tastes of the best season a little longer! Over at Steam Bell Beer Works, the glory of the 80s and 90s’ rock and roll is alive and well. The Here and Now this weekend is headed back to the brewery, and it’s a big celebration for everyone who’s not ready to let go of rock’s golden age. With a large group of musically-inclined individuals, they’ll bring back the best songs of 90s alt-rock and 80s new waver covers — albeit “beefed up” — with some other decade hits sprinkled in. Get your groove on, Richmond. Yesterday, The Veil Brewing Co. debuted their Henok From Omnipollo…brewed for their friend Henok, who works at Omnipollo. That’s good stuff, man. Henok must have good taste, too, because there is *nothing better in this god-forsaken world than chocolatey, blueberry pancakes* (and my boyfriend, friends, and family will attest to the severity of that statement from me), and this brew has it all. Drool. With blueberries, double chocolate chips, maple (!! ), marshmallow mocha, and triple-stack pancake flavors in this imperial stout, I might just roll over and die. Fortunately for you, you can drink this all up in a beer and probably save a little on the diabetes front. Fortunately for me, I can eat all that with the beer to wash it down, and I can die happy. Win win! Stone Brewing dropped a special stout over the weekend, too, in addition to two IPA releases on Friday — and even though Stone is known across the nation, this brew is special to good ol’ RVA. Their Stone Triple Espresso Totalitarian Imperial Russian Stout may be a mouthful when you say it, but I’m betting it’s an even bigger mouthful to drink. Made from the original Totalian Imperial Russian, this Triple packs in even more espresso flavors, and according to Stone, it may be the perfect brew for the cold, rainy weather that Virginia can’t seem to give us enough of these days. While it looks like the clouds have parted for now, be wary, VA friends. The rain is on its way back this weekend, and so is our need to give this one a try! Over the weekend, Hardywood dropped their None Of This Makes Sense can release for #freshcanfriday. Highly-rated by its drinkers, it’s named appropriately: “This beer blows my mind every time. Fluffy, not bitter, but so tasty! It truly doesn’t make any sense,” according to one. This New-England style Double IPA was brewed with Mosaic and Wai Iti Lupulin Powder, and at 7.5%, it’s on the higher ABV side without crossing over the one-and-done threshold, so it’s a great way to start off your weekend or finish off a long day at work. Final Gravity has something similar brewing this week as well, with their Morning Glory Double IPA. This brand-new release is not only a fresh brew from Final Gravity, but their debut of using “the elusive Cashmere hops,” too. With flavors of cantaloupe, candied orange slices, and subtly coconut with creamy peach, tropical fruits, and sweet lime, its dry-hop process came out deliciously-fruity with an 8% ABV to top it off. Grab yours this Friday over at Final Gravity. Next up at Strangeways is the release of two new beers on Saturday, Gaia Hypothesis and Martian Spring. The Belgian IPA Gaia Hypothesis is halfway between an American IPA and a Double IPA, often considered too hoppy by Belgian beer drinkers. Belgian IPA’s generally have a cleaner bitterness versus American, according to Strangeways, and they’re made with various malts but finished with bottle-conditioned Belgian yeast strains. Martian Spring, on the other hand……. Packed with Columbus, Simcoe, Citra, Galena, and Centennial hops, the flavors land with the light, fruity esters of its Bière de Garde yeast. The invasion begins, they say, as you embark on a thrilling wonder story with this Bière de Mars made in oak wine barrels. Coming up this Friday, Castleburg has a tasty awaited release. His Majesty’s New Groove is a Jamaican-themed brew, back just in time for their Reggae Sunday events, they say, and the collab beer with King Easy is back on tap — with the idea to create a blazin’ beer, this IPA was put together and loaded all the way up with dank and resinous hops… sure to please even the headiest of hop heads. Last week, we checked out a few awesome beer events and even found a boozy haunted house for Halloween. 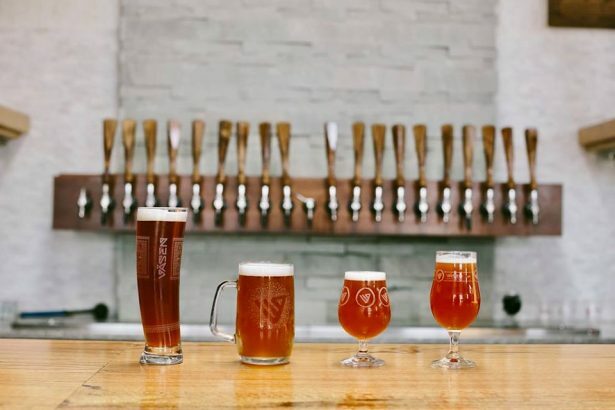 We’ve got even more exciting stuff coming up, and RVA made the news once again for being one of America’s top beer destinations (surprise, surprise). Ain’t that the truth. Since RVA is just so-damn-great, we actually get two parts to our chunk of the country’s guide, all to ourselves. They released Part 1 this week, and some of our favorites made the list. Final Gravity Brewing Company came in at #3 for its world-class IPAs (with The Doppler Effect recently ranking as the 12th-best IPA in the country). Up next was The Answer Brewpub at #2, where the travel guide remarked, “If the question is ‘Where can you find some of the best beer in the country?’ the answer is…well, The Answer.” #1 on the list is the entire neighborhood of Scott’s Addition (lol) and honestly, they’re totally right. I’ve been saying forever that RVA is one of the most unique beer cities for its ability to go brewery-hopping (Seriously, where else is that a thing?) and our friends at The Beer Travel Guide found the same to be true. Speaking of Scott’s Addition, one of the neighborhood’s best beer events of the year is next! weekend! Once in a blue moon, we get an opportunity for the whole city to day-drink together, and nobody gets to judge us for it. Richmond’s self-proclaimed Booziest Neighborhood has brought that opportunity back this Saturday, for a full day of adult Trick-Or-Treating in the Scott’s Addition Halloween Booz Crawl. The crawl this weekend hits 10 different spots in a day, full of beers, ciders, meads, and whiskeys. On your way, make sure to pick up Booz Crawl cards anywhere that’s participating. If you get three unique stamps, you’re entered to win a $25 gift card for each location. They’ve also included a Lyft voucher for 25 percent off rides, so Trick-Or-Treat responsibly. Participating spots include: Ardent Craft Ales, Black Heath Meadery, Blue Bee Cider, Buskey Cider, Courthouse Creek Cider, Isley Brewing Company, Reservoir Distillery, Three Notch’d RVA Collab House, Väsen Brewing Company, and The Veil Brewing Co.
Party time! Excellent! 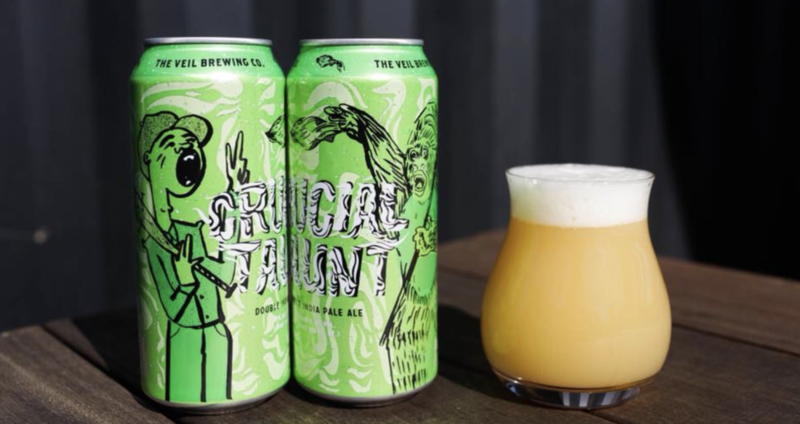 Yesterday, The Veil Brewing Co. brought Crucial Taunt back at the taproom, and it won’t last long. Straight from Wayne’s World, Crucial Taunt is Wayne’s girlfriend Cassandra’s band, known for their impressive Jimi Hendrix and “Ballroom Blitz” covers that really jam. The New England-style double IPA is extremely hoppy, dank, and has a low bitterness to accompany its juicy, small-malt taste. As a longtime WW fan, I’m extra stoked on this one — and the brewers have warned it may be gone by Thursday, so hop on it, Richmond. The first full-time brewed and bottled West coast double IPA on the planet is back at Stone Brewing. 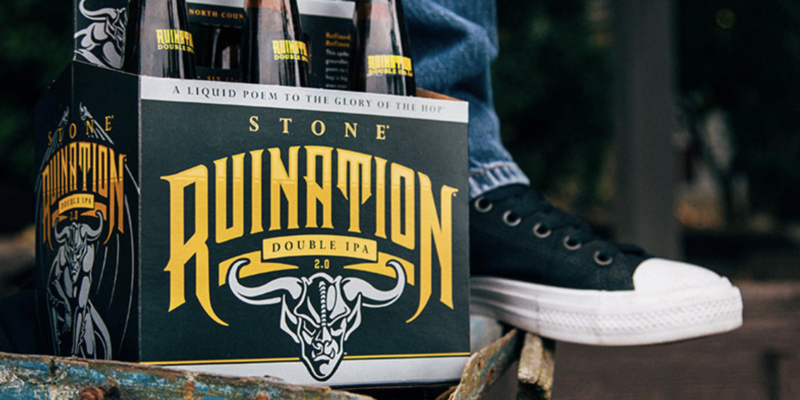 Ruination 2.0 is the second round of the groundbreaking pale ale, dry-hopped and hop-bursted to get “every last drop of piney, citrusy, tropical essence” that gives this beer its character. It’s also the second stanza in the brewery’s Liquid Poem to the Glory of the Hop. Stone’s also got their Bikes and Beers event coming up this Saturday for all the athletes out there. Gear up for 15- and 30-mile rides leaving the brewery (rest stops included, thank god) and circle back to Stone to get a glass, koozie, and two free beers! It’s similar to Hardywood’s motorcycle event last weekend, but for analog motorcycles (bicycles), and it’s got a raffle just the same. If you participate in the ride, you get a free raffle ticket — and if you’re anything like me, you might have so much fun you win back your own day-beer lost-belongings in the raffle. Proceeds go to Bike Walk RVA to improve cycling conditions in RVA, so even if you don’t ride, swing by for a beer and make sure to check this one out! Out in Midlothian, Steam Bell Beer Works just brought back Dueling Hops. The American-style IPA, brewed with Mosaic and Amarillo hops, has notes of mango and stone fruit for an easy-drinking fruit bomb. The brewery’s also a stop on the Richmond Beer Trail (with more than 30 craft breweries — no wonder we’re top in the country). 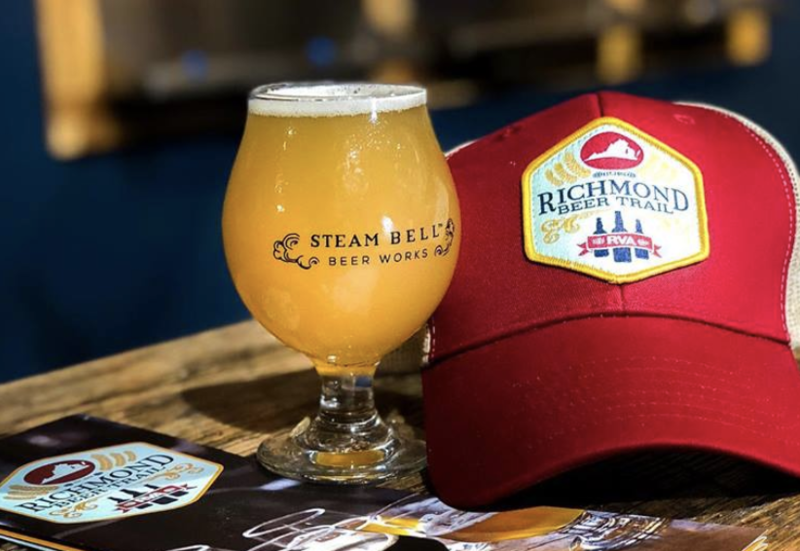 Pick up a map and hit five RVA breweries for stamps, and get one of these sweet trucker hats fo’ free! In more new-beer news this week, the cold weather is back, and so is stout season! 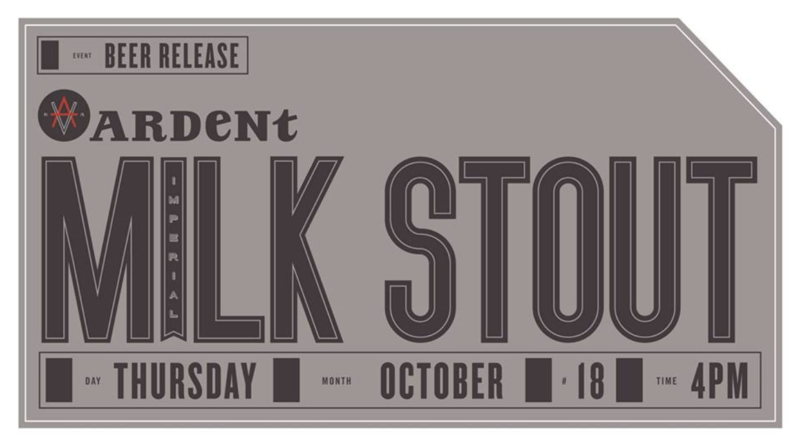 Swing by Ardent tomorrow for the release of their Imperial Milk Stout. This bold, rich chocolatey-sweet stout is balanced with a roasty base and has a silky smooth finish — unlike “the boozy burn” that often comes with a 10 percent brew like this. Breweries all around town are gearing up for Independence Day, and Strangeways Brewing is no exception. This Saturday is their “Cheers to Independence” Beer Release. They’ll be releasing a whopping four beers for the event, starting with the Everlasting Light Lime Kolsch, a light, crisp ale made with Mandarina Bavaria hops and boiled with lime and kaffir lime leaf. 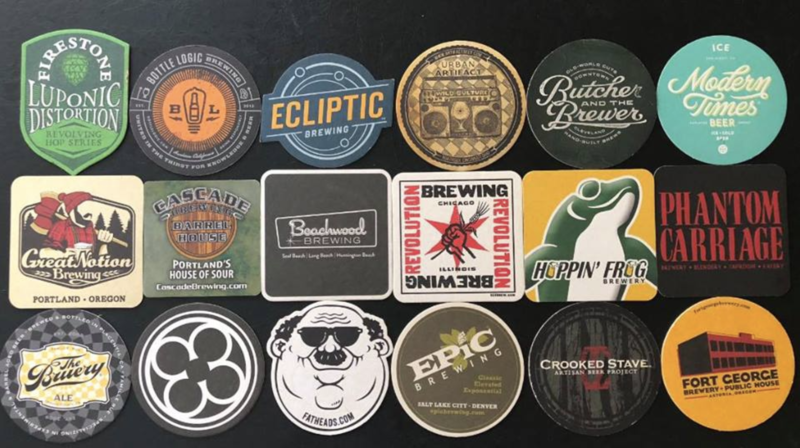 They’ll also feature a new IPA, the Work Jorts IPA, a new sour ale, the Comfortably Plum American Sour, and the Cantilever Dark Ale, a hybrid of several beer styles with a malty backbone, some character of hops, and the crispness of a blonde ale. The event starts 11 a.m. Saturday and lasts all day, and teachers receive 20 percent off all in-house beer. 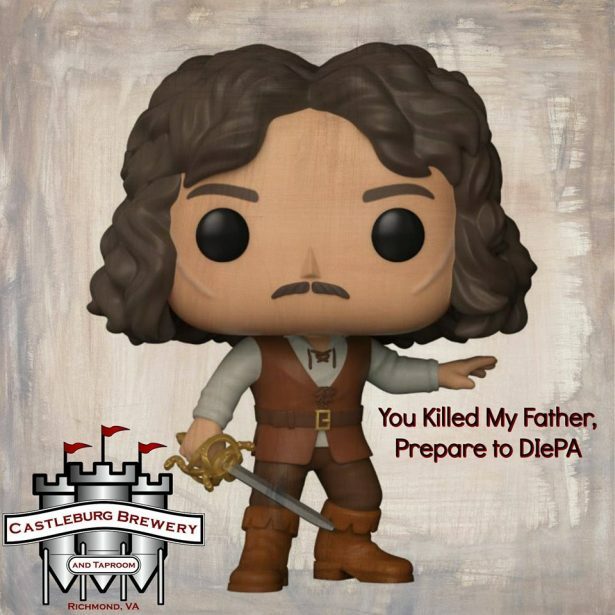 Tonight, Castleburg Brewery and Taproom will release their latest IPA: You Killed My Father, Prepare to DIePA. An homage to our favorite vengeful Spaniard from the popular film ‘The Princess Bride,’ it’s a beer even Inigo Montoya could enjoy after a long day of sword training. It will slice through your tastebuds with citra, comet, mandaria bavaria, and flavors of nuget–and for the bloodthirsty avenger in you, don’t be surprised to find notes of blood orange. Back by popular demand, Väsen Brewing will be re-releasing their Smoked Blood Peach Sour brew tonight. The beer’s summery vibes of citrus and peach combine with a light smokiness and hints of toffee make it a fan favorite. Be sure to stop by their Paint Party starting at 6 p.m., as local artist Shay Wilson will guide you through painting on reclaimed wood canvas as you sip away. Triple Crossing has teamed up with Foam Brewers to create a few new juicy brews, one of which will release this Friday. 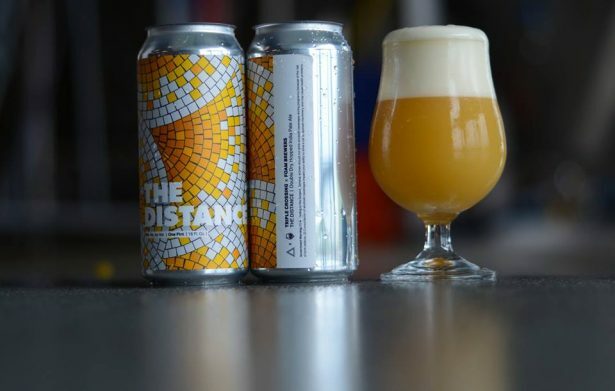 The Distance DDH IPA perfectly combines the new brewers’ techniques and makes an interesting combination of yeast and hops. Bold notes of ripe mango, key lime pie, orange rind, and pineapple make it a great summer treat, and will be released alongside the Falcon Smash IPA. 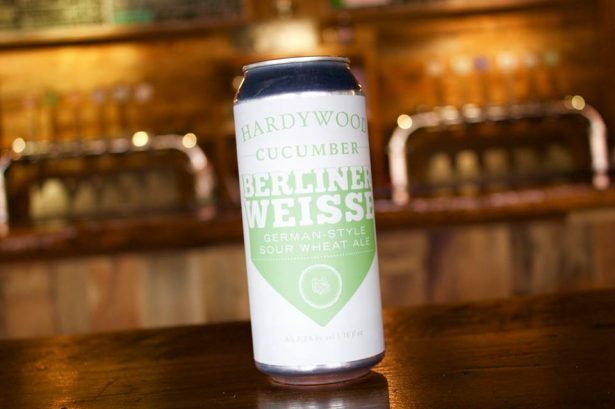 Recreating a historical beer that originated in Berlin, Hardywood is releasing Cucumber Berliner Weisse–a light, refreshing, and tart beer that the Germans of old sipped to beat the heat. Hardywood uses traditional German ingredients along with a kettle souring method and will be releasing their newest canned beer this Friday. Looking for a place to watch the fireworks on the 4th, but don’t want the crowd? 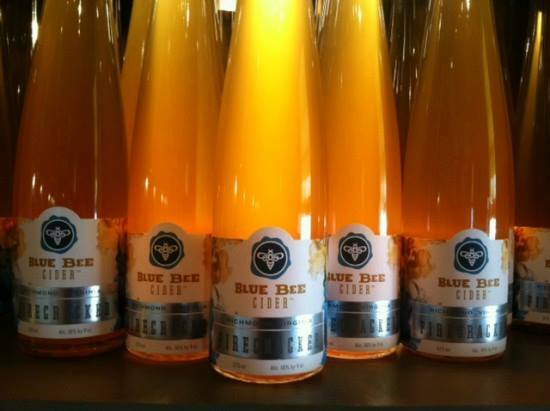 Blue Bee Cider has the perfect solution. Join them next Wednesday for the release of their Firecracker New Vintage small batch cider, a ginger-infused eau de vie fortified apple brandy with plenty of pineapple aroma, a rich, smooth sweetness, and ginger zing on the finish. Kids and dogs are welcome, and the event kicks off at 1 p.m. The Virginia Cider Week celebration kicked off over the weekend and now, through the 20th Richmonders can have their fill of hard cider tastings, workshops and other cider-related events around the city.